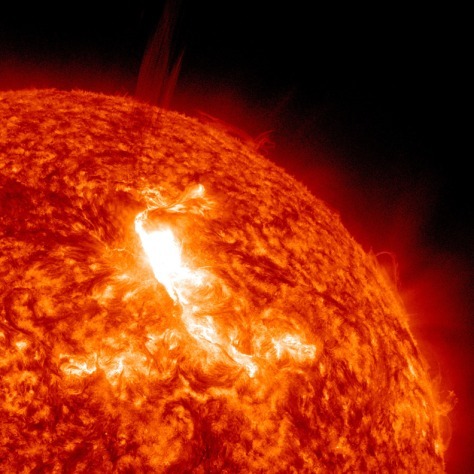 Solar Dynamics Observatory captured this flare, shown here in red/orange as that is the color typically used to show light in the 304 Angstrom wavelength. The flare began at 10:38 p.m. ET on Sunday, peaked at 10:59 p.m. and ended at 11:34 p.m.